Offering the finest in truck service. Our parts distribution is one of the largest in the region. We can ship your truck anywhere in the U.S.A.
We have the vehicles that fit your needs and budget. For 25 years, low cab forward trucks have been America’s #1 choice. An amazing 86% of all Isuzu commercial vehicles ever sold in America since 1986 are still registered today. Performance. Practicality. Dependability. Durability. Whether you are a small business operator with a single vehicle or you manage an entire fleet, you need a truck that will do more, while costing less to operate. 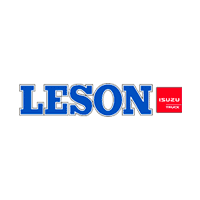 At Leson Isuzu in LA, that’s the only kind of truck we sell. Isuzu engines are legendary for their power, economy and long life. Their frames accommodate a wide range of body applications. Their low-cab-forward design provides remarkable maneuverability. Isuzu trucks are engineered to maximize driver productivity. Now, more than ever, these are the trucks that drive up your productivity while driving down your cost of ownership. Don’t take our word for it – stop by our Harvey location, Louisiana location and check out our new and used inventory of NPR, NQR, NRR, cab & chassis truck and van bodies. We also offer truck parts, service, and financing. Call us with any questions at (504) 366-4381!